1st day Rome, Bracciano, Grosseto, Chiusdino. Departure from Rome to Chiusdino. Magnificent route passing along the roads of Lazio and Tuscany, where you canEnjoy the view of the hills covered with vineyards, olive groves, small old burghers and cultivations. 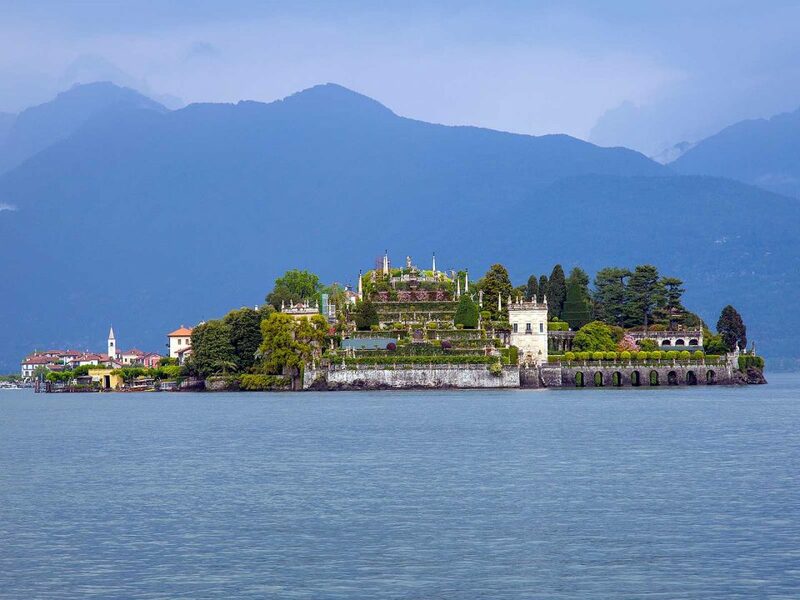 In the road we will visit the beautiful lake of Bracciano, until you reach Grosseto, the city that enjoys some impressive sights. Arrival at Chiusdino, Accommodation. 2nd day Chiusdino, Siena, Gaiole in Chianti, San Gimignano Chiusdino. Breakfast and departure for the visit of Siena, a city with a strong characterization medieval. Located in the hills of Tuscany, the streets of the city are unleashed according to different gradients, giving the traveler a variety of landscapes extolled on each side. We will continue our day visiting Gaiole in Chianti, a medieval village where you can visit beautiful places like the Pieve di Spaltenna, which preserves a precious crucifix of the ‘400, the Castle of Vertine, small fortified borgo an enchanted atmosphere, and the Badia a Coltibuono, old converted monastery in a farm. Splendido the Castle of Brolio, of origin Lombard, since the twelfth century belongs to the family Ricasoli that since then here produces his famous Chianti Classico Visit of San Gimignano, a splendid example of medieval city declared Heritage of humanity by unesco. Saint Gimignano, famous for its wine, Vernaccia, will leave stunned by its beauty. Return to Chiusdino,Accommodation. 03rd day Chiusdino, Montalcino, Montepulciano, Castiglione of the Lake, Cortona, Chiusdino. 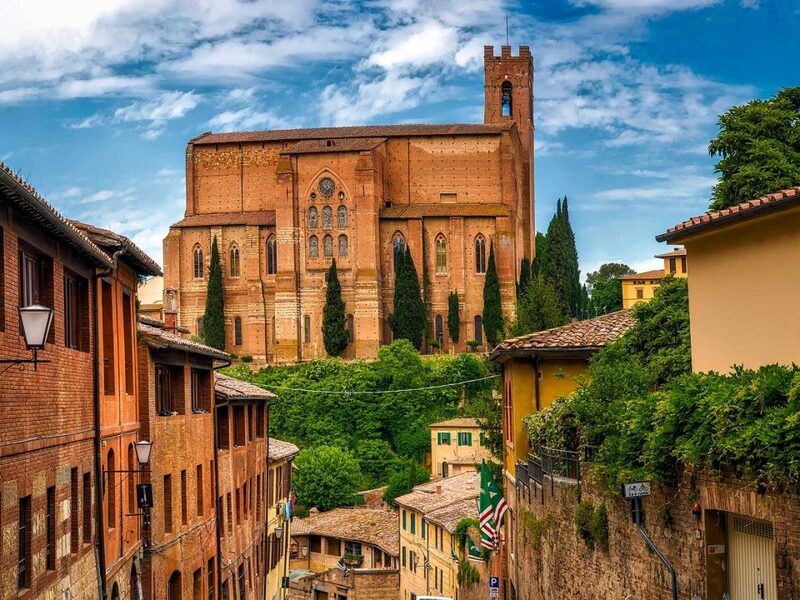 On the way, stop at Montepulciano and Montalcino: we will visit the villages Medieval, famous for their wines and the beauty of the landscape. Passing to Castiglione del Lago, visit Cortona. Back to hotel, accommodation. 4th day Chiusdino, Pisa, Forte dei Marmi, Montignoso. Breakfast at the hotel and departure to Pisa, located on the banks of the Arno, preserves in its precious architecture memories of what was his glorious past as a Maritime Republic. Visit of the Duomo and the Baptistery, in Romanesque style – Pisan,the Monumental Cemetery and the Campanile, known as the Tower of Pisa. Among the monuments do not miss the Museum National of San Mateo, located in an old monastery,which includes a valuable collection of paintings on wood on a gold background, sculptures and other works and the Church of Santa Maria della Spina, a true gem of the GothicPisano. We will continue the trip to Forte dei Marmi. The symbol ofthe city placed in the center of what is the “Fortino de Forte dei Marmi, “a great ducal fortress built in the centuryXVIII that in the urban context gave us a viewwonderful. Back to the hotel. Accommodation. 5th day. Montignoso, Cinque Terre, Porto Venere, Montignoso.Breakfast and early morning departure to Santa MargheritaLigure. Once in Porto Venere. tomaremor the local boat toStart the visit of the famous “Cinque Terre”. Cinque Terre isone of the most unspoiled natural Mediterranean areas of Liguria and the Tyrrhenian coast. Let’s start with a visit of Monterosso. Protected by hills covered with vineyards and olive trees, Monterosso has beautiful beaches, cliffs and crystalline waters. The Aurora tower, on the hill of San Cristoforo,divides the medieval old town, from the modern and residential area that stretches along the beach. 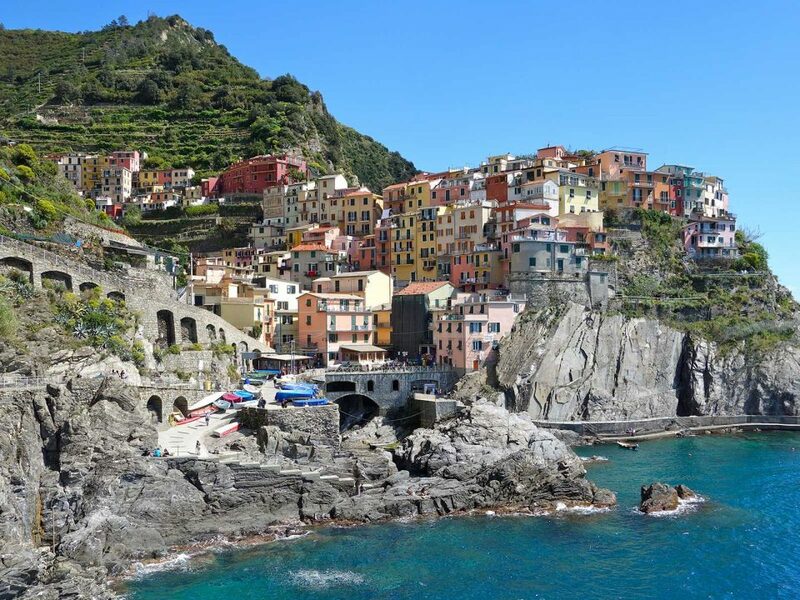 TOThen, we will visit Vernazza, famous for its “carruggi”(alleys) and steep stairs, Riomaggiore, the mosteast of Cinque Terre, the first town to be found arriving from La Spezia. Let’s continue with the town ofManarola, which has ancient origins. Finally Corniglia,which is located on a rocky promontory that overlooks the sea,from where you can admire all the other four villages of the Cinque Terre. At the end of the day, return to the hotel, accommodation. 06th day Montignoso, Florence. Breakfast, departure towards Florence We are going to visit the city that Lorenzo de Médicis has transformed into the cradle of the Renaissance, attracting best artists, architects and writers of the time, such as Leonardo da Vinci, Michelangelo and Botticelli to whom He commissioned several works. Visit of the Piazza della Signoria, the Palazzo Vecchio, the Duomo with the bell tower of Giotto, the Ponte Vecchio, Santa Croce. Accommodation. 07th day Florence, Spoleto, Rome. End of services.